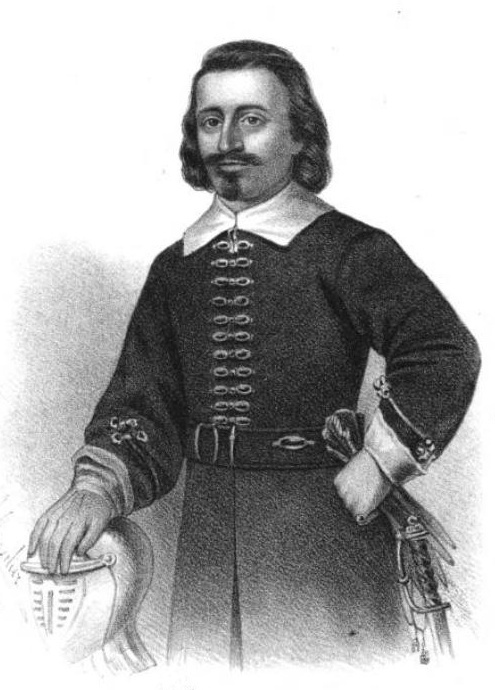 LEVERETT, JOHN, official commander of the forts in Acadia, 1654–57; governor of Massachusetts 1673–79; b. 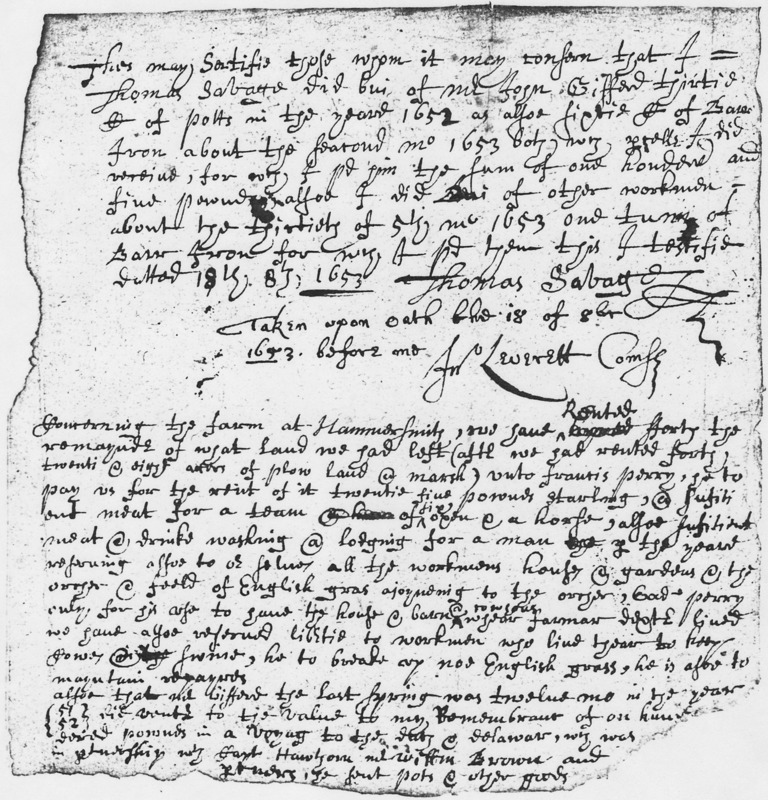 1616, in Boston, England; s. Of Thomas Leverett and Anne Fisher; d. 16 March 1678/79 (o.s.). 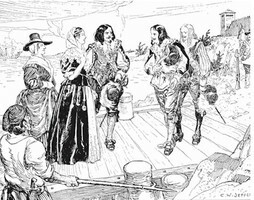 Although the documentary evidence is inconclusive, it is to be presumed that Leverett went to Acadia, for he was addressed by Cromwell in a letter of 3 April 1655 as “Commander of the Forts lately taken from the French” and was urged to use “your utmost care and circumspection, as well to defend and keep the forts above said.” He continued to be regarded as commander until the forts were delivered up to Col. Thomas Temple on 1 May 1657, although Leverett had been appointed colonial agent in England on 13 Nov. 1655. Several of Leverett’s petitions for compensation for his expenses as commander in Acadia were among the many facing the Council of State during these troubled years and after the Restoration Leverett was still petitioning for his losses. On his return to Massachusetts, Leverett was again elected to the General Court for 1663–65. He was major-general of all Massachusetts forces from 1663 to 1673. From 1665 to 1670 he was a member of the council and from 1671 to 1673 he was deputy governor of Massachusetts. He was elected governor of that colony in 1673 and was re-elected annually until his death in 1678/79 He married Hannah Hudson and after her death in 1646, Sarah Sedgwick, the daughter of Robert Sedgwick, in 1647. Bodleian Library, Rawlinson MSS, A16, f.52., A18, f.58. Documents in Essex Institute, Salem, Mass., “Mass. Archives”; Mass. Hist. Soc., Saltonstall Coll. Maine Hist. Soc. Coll., 1st ser., I, V, VI, IX; 2d ser., III, V, VI; Documentary history of Maine, IV, V, VI, VIII, IX, XI, XIII; Province and court records of Maine, I, II, III. Mass. Hist. Soc. Coll., 3d ser., VII (1838) [XXVII of the Coll. ], 122; Proc., 2d ser., XIII (1900), 407. Mémoires des commissaires, I, xv, xl, 97; II, 290–91; IV, 283, 307; and Memorials of the English and French commissaries, I, 19, 45, 167, 403, 580. NYCD (O’Callaghan and Fernow), III, IX. PRO, CSP, Col., 1514–1660, passim. Records of the colony of New Plymouth in New England (1620–1692), ed. N. B, Shurtleff et al. (12v., Boston, 1855–61), V, 75–80., Records of the Massachusetts Bay (Shurtleff), IV, pt. 1. DAB. DNB, supp.III. James Hannay, The history of Acadia from its first discovery to its surrender to England by the Treaty of Paris (Saint John, N.B., 1879), 195–98. C. E. Leverett, Memoir of Sir John Leverett, knight, governor of Massachusetts (Boston, 1856). Murdoch, History of Nova-Scotia, I, 126–27, 139. C. Bruce Fergusson, “LEVERETT, JOHN,” in Dictionary of Canadian Biography, vol. 1, University of Toronto/Université Laval, 2003–, accessed April 21, 2019, http://www.biographi.ca/en/bio/leverett_john_1E.html.